Magic Ian's Double match Pull ~ Lit match producer ~Metal, superb quality. The single metal dependelite match pull is still the industry standard and the choice of most professionals. The "Diablo double" was created by popular demand. It has a stronger spring than my single dependalites and can be split into two singles. The match lites with an actual snap! Match pulls have been around since matches and magic. The match pull has been around since matches and magic, however, this is THE BEST!! This is why DAVID COPPERFIELD, LANCE BURTON (USED 6-LIVE ON THE TONIGHT SHOW), JEFF MCBRIDE, MAGIC-IAN (ME), & HUNDREDS of others use DEPENDALITE (dependelite) exclusively. The double (a 30 year old sample shown in the picture) was a superbly engineered clip which had two spring clips mounted on a spring hinge. Although it worked great, there was a fumble factor. So, I discontinued them. The need for a double match pull was mostly as a backup and since my singles rarely failed, it was an un-necessary option. Of course some people need several matches during an act, but the best solution (since the single dependalites are so inexpensive), is to have several singles loaed and ready. However by Popular demand I have introduced a new and improved DOUBLE MATCH PULL. New Version of the DOUBLEYou can produce one or a secon match, or split this unit as two singles! Since 1977, there have been literally thousands of clips that do the job. Spanish match pull: used to be sold by D. Robbins and it consisted of a spring flap to hold pressure on the match head, there was a slot for a striker which came from the side of a large box of matches. A pin was soldered onto the end and it was a fairly efficient clip. The problem with the design is that the striker was only hitting the match head from one side, and as the spring got weaker from use, the match pressure was inconsistant reulting in a misfire. This misfire led to my creating the Dependelite which does not fail and is used by the best of clients. The Dependalite has easy striker replacement, fast rest and small imprint. There is no logical reason to buy or use any other. 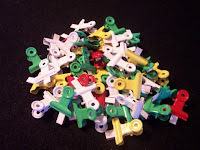 India clips: probably the least expensive clip: but it is a very rigid design. The clip is merely a shaped bent metal which is in essence a spring. The striker is forced into the clip and the match head is forced in as well. The result is a 75% effective clip but a very difficult reset. Other versions: Powell double match pull: a poor attempt at creating a repeatable clip. Aside from the danger of the first match setting off the secon, the strikers have to be glued in place, and the clip is three times the size of most pulls. Retail variews from a close-out price of $9. to the suggested overpriced list of $20. YOU CAN GET 8 DEPENDELITES FOR THAT PRICE. Tony clark match pull: workable, but high priced. Its success is due to merchandising and promotion more than buying sense. Knock-offs: actual copies of my dependelite are sold by some unscrupulous dealers. Abracadabra, Magic City, Danny Tong, Hank Lee, and Daytona Magic shop. Spina match pull uses a strike all match surface in a flat bracket, priced at $12 plus, it is overkill and too expensive. Dear Magic Ian,"WOW!!! I never imagined a lit match pull to be made and work so well. Needless to say, I tossed my Clark match pull into my "Useless Magic" drawer with the other lit match pulls I've tried and hated. There is no comparison. I love the little single match pull, but the dual version is definitely going to be my favorite. As soon as I save up a bit more cash I'll be back to see you about a few more of your dual lit match pulls. I want them permanently in the jackets and vests I use for magic. Besides having a TopIt or 2 (actually I have 6 of them) in my jackets, the next most important thing is now your lit match pulls. They are fabulous! !